Heavy Duty Cleaner - Enviro-Terra HD - Acid-Replacement Cleaner -Enviro-Terra HD is a true breakthrough concentrated cleaner. With a pH of less than 1, and twice the strength of EnviroTerra Concentrate, this multipurpose cleaner generates the high cleaning power of an acid, yet it is safe and mild to skin like liquid dish soap. 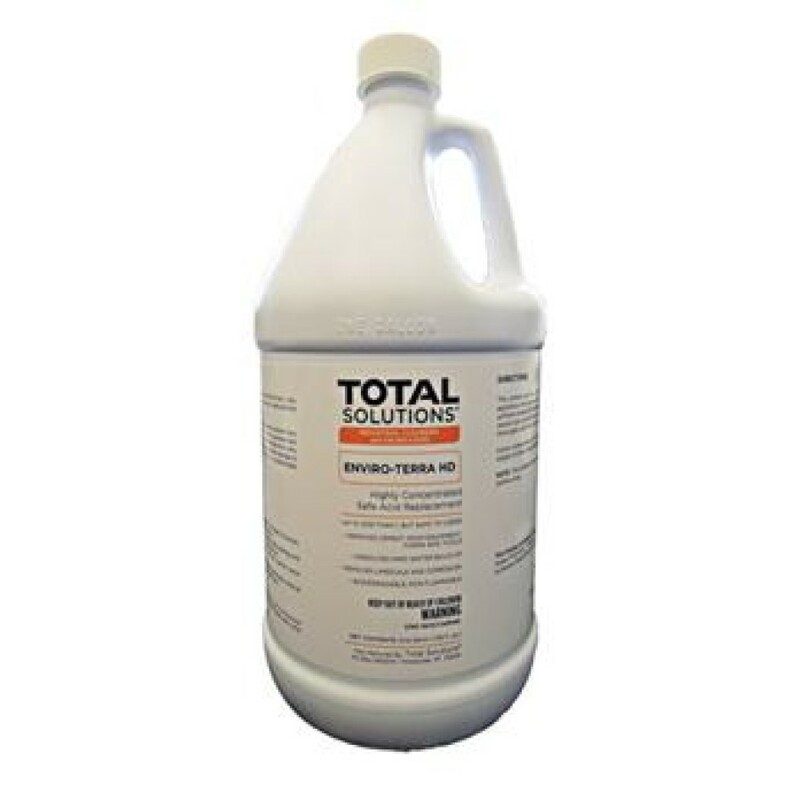 Cleans stains, rust and algae from concrete buildings and walks; removes cement from construction equipment, trucks, pouring forms, structural steel and tools; dissolves hard water build-up, lime, scale and corrosion in boilers, air conditioners and refrigeration units, condensers and circulating systems. A proprietary inhibitor package prevents damage to metals, and detergents and wetting agents enhance cleaning actions. It is nonflammable and biodegradable. Part of the Enviro-Terra product family.